Laser Engraving machines have revolutionised the engraving industry. Utilising laser technology with the aid of computer guidance you can achieve incredibly accurate results with engraving a huge range of materials. One huge advantage of laser engraving machines is the versatility they provide. Designs or patterns can be easily downloaded into your laser engraving machine to produce fast prototypes or production runs. You can be certain of precise engraving on every replication of your work due to the nature of the laser technology within your machine. CTR Lasers have been producing laser based technology for many years and the laser engraving machines produced by CTR are one of their most popular items. CTR can provide a comprehensive service on laser engraving machines from building your machine to providing unlimited support after purchase. Versatile: CTR laser engraving machines can be customised for your specific industrial or educational applications and our machines can easily be adjusted for a wide range of materials. One-off prototypes, small or larger production runs are all easily catered for with a laser machine. Precise: CTR’s laser cutting machines can engrave a wide range of materials to a high degree of accuracy, ensuring top results every time - even intricate or complex detail can be produced effectively. Fast: because laser engraving is faster than traditional techniques, you can achieve greater output and increased productivity, giving you a better return on your investment and ultimately leading to more profitability! Safe and Clean: laser engraving is a contact-free cutting process - materials do not need to be clamped down or adjusted and the laser machines never expose the operator to moving parts. All CTR machines are fully tested, CE approved and comply with industry safety standards. This is a clean and efficient process, especially when used in conjunction with a CTR filtration/ventilation system. Ease of use: whether you are new to laser engraving or an expert, CTR laser engraving machines are easy to operate. Once the design software file has been imported and the laser settings adjusted, it is as simple as operating a microwave, laser printer or CD player! Value: CTR laser engraving machines represent excellent value for money. The compact machine footprint compared to the working bed size makes CTR laser machines an extremely attractive option. CTR laser machines are ideal for engraving and cutting an extensive range of materials. Each of our laser engraving machines have been designed to offer the best price performance available. These products can handle materials from stone to cloth, wood and paper to acrylics and more, producing excellent results from bitmap images and other file formats using the laser software supplied with the machines. The laser engraving machines provided by CTR are very similar to the laser cutting machines also designed and manufactured by CTR. The main difference between these two types of machine is that a laser engraving machines typically have a lower laser power (CTR Lasers' engraving machines usually come with a 25W-50W laser power with cutting machines typically ranging from 80W-200w or higher). CTR’s laser engraving machines also tend to have a lens that offers a shorter focal length compared to their cutting counterparts. As with any high-quality laser engraving machine, you will receive clean, safe results as the laser engraving machine runs from the supplied laser software on your computer to create the engraved item without further human interaction. Lasers are an excellent tool to have for educational purposes to help students to use, promote and expand their design, computer and inventive skills and knowledge. A fantastic bargain for start-up businesses, hobbyists and education establishments! 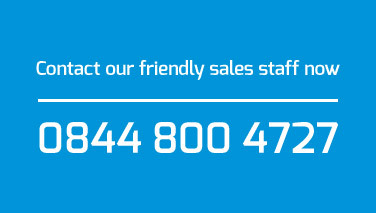 To speak to one of our friendly staff members about any queries regarding the laser engraving machines offered, please contact us. Helpful Hints: Please note that it is important to note the relevance of POWER and WORK AREAS in deciding which laser machine is best for your specific requirements. You need to choose the work area that suits the material size you use, but remember that you need the correct laser power for your work. 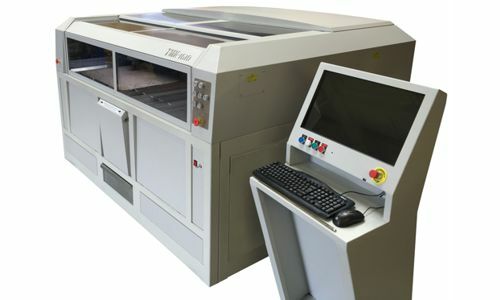 Click here to see our British laser engraving machines. SIMPLY CALL US NOW TO SEE THESE LASER MACHINES IN ACTION AT OUR NEW NORTHAMPTON PREMISES. Wishing you a Merry Christmas! We're closed 21-Dec to 2-Jan for the holidays. See you in 2019!